This forum is for PF members to introduce themselves to other members and to the forum. This forum is for all members to discus all topics. 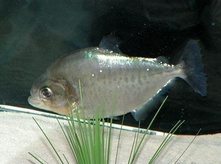 This forum is for viewing video of all piranha species. This forum is for all members wishing to share pictures of their piranha, and to share comments. 59 247 Baby Marginatus ? 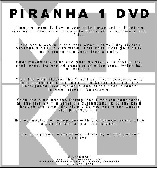 This forum you can see all the great Piranha Fear videos or post your own. Post CLEAR pictures of your piranha species for better identification, pleas keep in mind pictures alone will not be enough for a positive ID. This forum is for treatments, diagnosis, diseases, parasites, and injuries of all piranhas. This forum is for Pfear members wishing to buy, sell or trade. Pfear is not responsible in anyway for any guarantee of sales on this forum. This forum is for the experienced breeder, please visit the forum to ask questions and learn about breeding. This forum is to post your comments and suggestions on this site. This forum is for viewing and learning about all the different piranha species. This forum is for posting all questions on water chemistry.